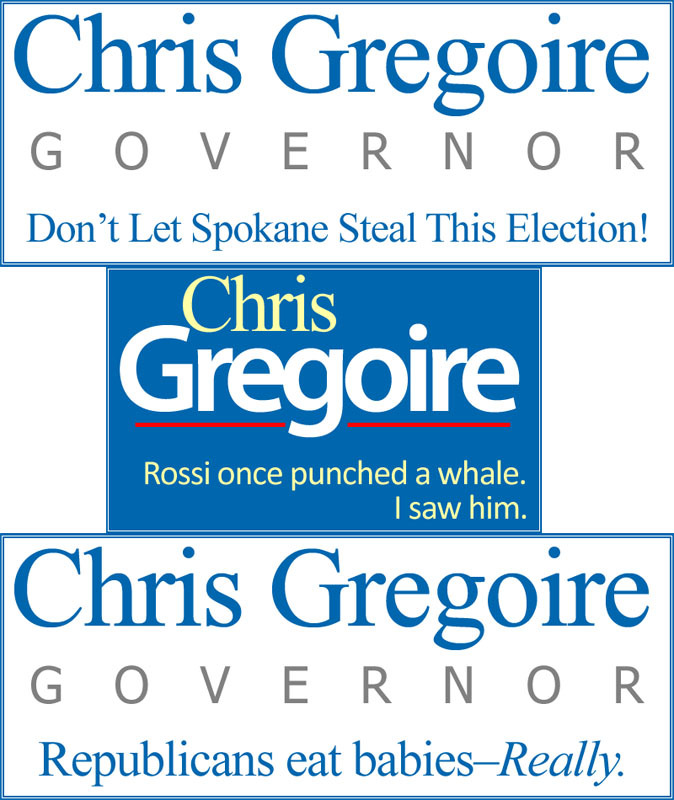 Following a series of reports this week from Puget Sound residents returning from the arid wasteland of Eastern Washington where they witnessed Dino Rossi campaign signs bearing the message Don't Let Seattle Steal This Election, Christine Gregoire has launched a counter-offensive campaign in King County. Campaign spokesman Aaron Toso explained the move, saying, Dino Rossi is pure evil. It's time we brought that message to the people of Seattle.